What were you doing this past Monday afternoon? 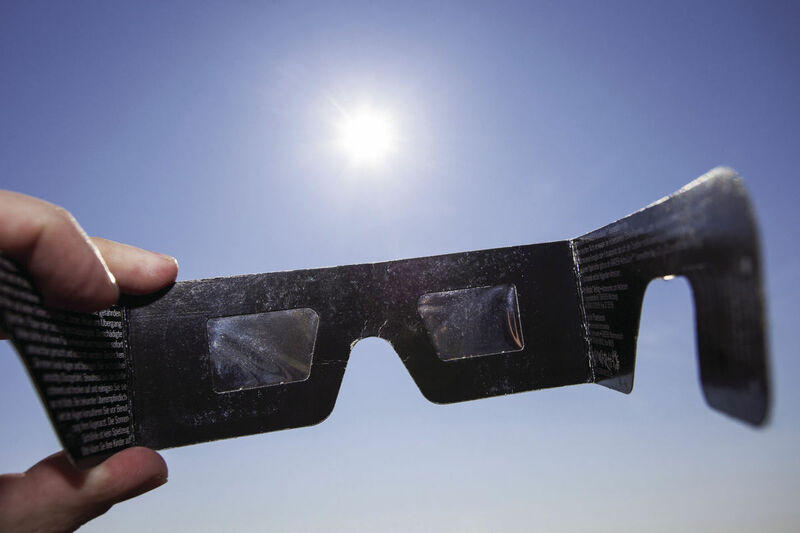 Were you one of the millions of Americans who dawned a pair of “eclipse safe glasses” or a homemade version and stared up at the sun? Why were we inundated with warnings of severe eye damage if we stared too long at the eclipsed sun? It’s because prolonged exposure of the sun to our retinas will cause irreversible damage to our sight, and the scary part was that we wouldn’t feel a thing. Scripture is full of similar warnings, but more often than not, we believe what our culture is saying instead. We believe that because we may not feel anything, it’s ok. Because others are doing it, it’s ok. But is that true? Ok, bear with me…I know this is sounding cheesy, but hear me out. So often I don’t even realize, until it’s too late, that I’ve been thinking of things and thus doing or saying things that would not be filtered through these “whatever glasses.” But this is where we see a big difference between the effects of staring at the sun without protection and allowing things into our minds and hearts without first filtering them through scripture. Effects of staring at the sun are permanent and can’t be undone. But effects of seeing, thinking, saying or doing things that are not pleasing to the Lord can be forgiven; His love covers a multitude of sins (1 Peter 4:8). The more often we remember to keep these “whatever glasses” on, the more like Christ we will become! We can’t expect to grow in our fellowship with the Lord if we are consistently letting the world dictate what we allow into our minds and hearts. So before you open up your eyes, ears, hands and mouth, prayerfully ask yourself if it will pass through the “whatever glasses.” Will it help you love the Lord and others more?